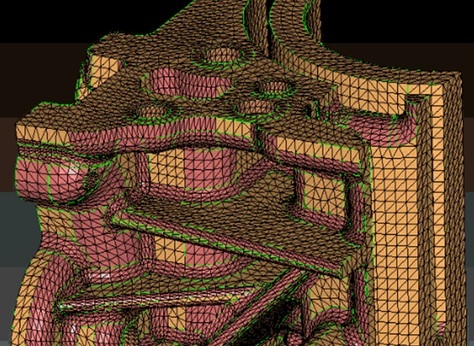 DEP MeshWorks is an integrated CAE platform for pre and post processing, involving rapid concept CAE and CAD model generation, parameterization and optimization, advanced meshing, process automation, concept modeling and CAD morphing. 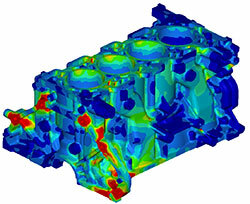 DEP MeshWorks, from Detroit Engineered Products (DEP) is a CAE driven integrated platform for pre and post processing, involving rapid concept CAE and CAD model generation, parameterization and optimization, advanced meshing, process automation, concept modeling and CAD morphing. It has enabled leading companies across the globe to transform the product development cycle, thus considerably saving them time and money, and get to market faster. Since its release in 2001, DEP MeshWorks has been simplifying tedious time consuming processes associated with design changes, and helping reduce the product development cycle across several industries globally. The latest major release of MeshWorks features new modules like a powerful FE/CFD pre & post processor, a customizable engineering process automation environment and has substantial depth and robustness added to its existing modules, all in an easy to use graphical interface. 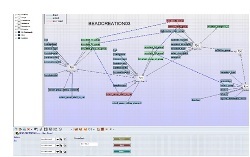 MeshWorks graph is a powerful plotting and data analysis tool. It has a rich set of plotting features, a user friendly interface, easy navigation from function to function, and is fully integrated within the MeshWorks interface. Customer CAE processes can be rapidly automated using a fast Record > Create-GUI > Plumb > Publish process. Very complicated geometry and mesh creation processes can be automated with virtually no scripting or programming expertise. DEP MeshWorks is a feature based morphing tool that can rapidly morph existing FE and CFD models to match new geometry and/or to new proportions. Component and full system level FE/CFD models (such as automotive vehicle crash, NVH and durability models) can be morphed to fit target design features such as styling lines, sections, proportions etc. precisely. MeshWorks has advanced cutting, blending and stitching functions to create early stage concept FE and CFD models very rapidly.Local regions from the donor FE or CFD model can be cut, morphed and stitched to the target FE/CFD model resulting in a new concept quickly. MeshWorks is a comprehensive CAE model parameterization engine with a broad range of categories of parameters that can be used at all stages of product development.Regular FE/CFD models can be converted to intelligent parametric FE/CFD models. The parameters can be exercised as one-time execution or linked to DOE and MDO schemes. MeshWorks has a powerful Design Enablers which enables rapid creation of finite element features such as ribs, holes, slots, reinforcements, bulk-heads, beads, darts, part-extensions/contractions, laser welded blanks etc. 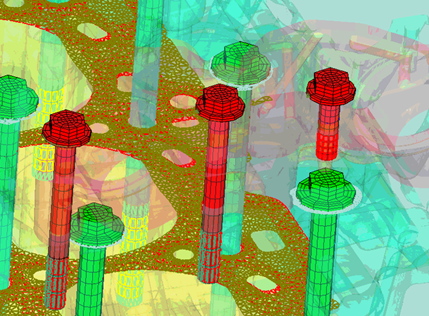 directly on FE/CFD models without the need for CAD. DEP MeshWorks based parametric & non-parametric CAE models facilitate Multi-Disciplinary Optimization to meet design targets, minimize product weight and minimize manufacturing costs MeshWorks parametric models can robustly generate multiple runnable analysis data sets given a DOE matrix. The CAD morphing module allows users to morph existing CAD data (body structures, powertrain and chassis parts) directly to new shapes rapidly. It enerates morphed CAD models representing optimized designs very rapidly and forms the main link between CAE & Design teams, saving several months of CAD development. A successful DEP CAE Engineering Conclave 2017 attracts 300+ attendees, launches the next generation of MeshWorks!